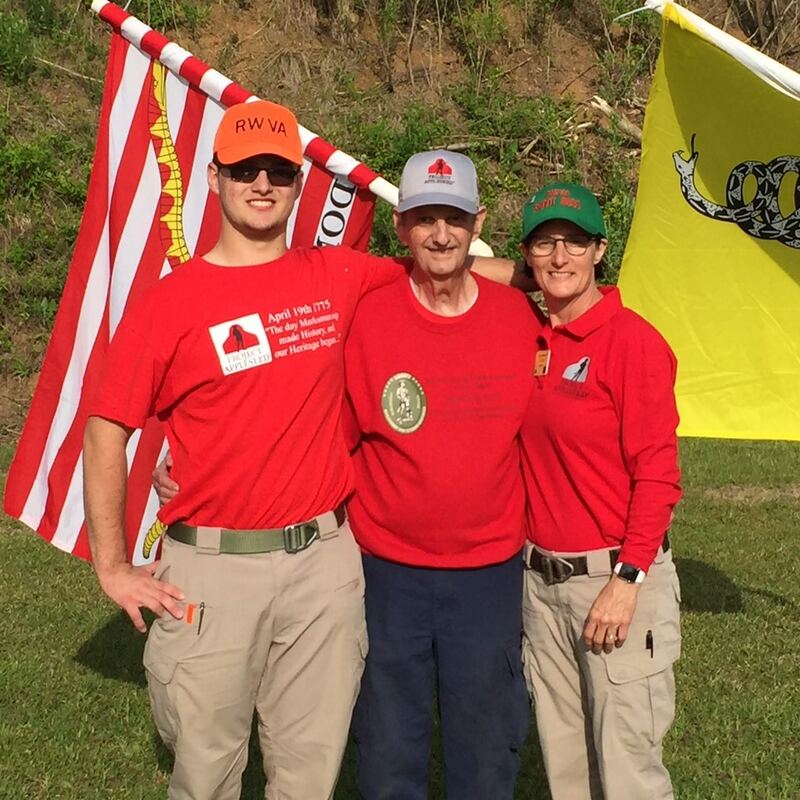 On Patriot's Weekend we were blessed to have the rare occurrence of three generations of Riflemen/Instructors on the line in Columbiana, AL. Master Instructor dond, myself, and my son, IIT BulletSquid, worked together for the first time. Busy schedules and separation by a couple of states have always made it difficult to be in the same place at the same time. 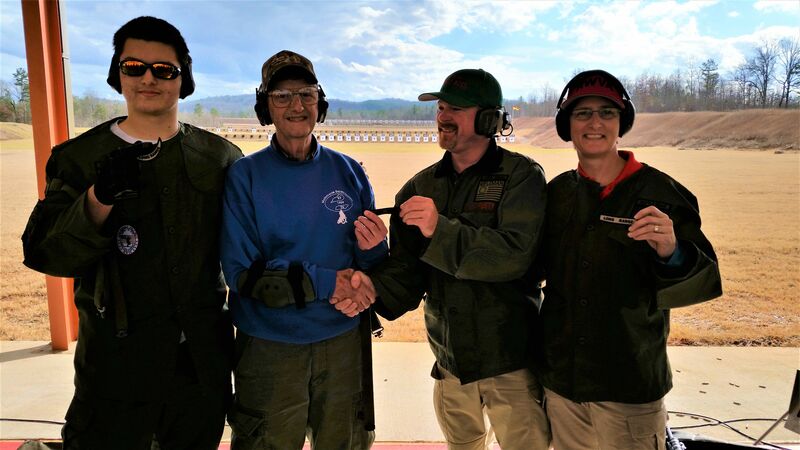 dond has influenced scores of instructors during his nearly 12 years with Appleseed and his tireless dedication will be felt for many years to come. Nowhere is that more evident than in the picture below. One very special person was missing for this event: Sarah Duncan, dond's wife, our mother/grandmother, and also a dedicated Applecore member. 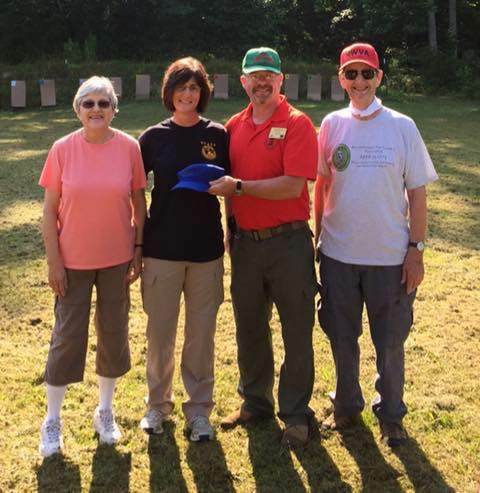 Our hearts were hurting but we celebrated being together and sharing the weekend with a great crew of instructors and shooters. Mom would have been so proud! For those who don't know... all three of those instructors are KD qualified! dond & BulletSquid qualified in January 2016. Google requalified on the same AQT with them. No question - this is a family who knows what they are about! I has been a honor working with you dond, Google, and Rusty and thanks for your continued support. Hope our paths cross again! I believe this was long overdue. having three generations at one event is, indeed, impressive. I had a chance to work with your dad and mom at a KD in New Philly, Ohio a couple of years ago. It was a blessing to have them there. I read this tears in my eyes and a smile on my face. I was blessed to be there with you all. Thanks for the great hugs!! Tears and a smile, I had that also. This family holds a special place in my heart. JP and I live close to dond and have had the privilege of working with him and Sarah a lot over the past several years. How special to see these 3 generations working together at an event! !